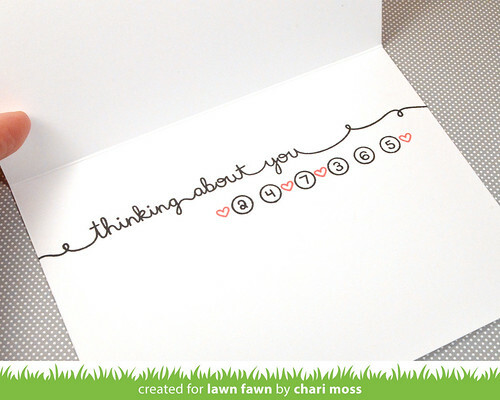 Lawn Fawn Inspiration week continues and today we are featuring a new Plan On It: Calendar planner set as well as the Stinkin' Cute mini set. 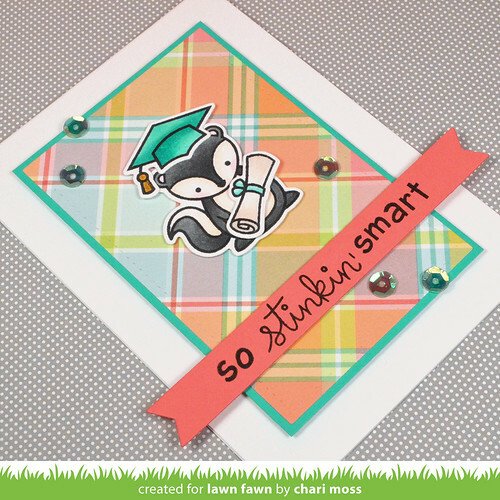 I used the graduation cap and diploma from Smart Cookie to make a smart little skunk. I also used Harold's ABCs to change up the sentiment to fit as well. I used some Nadia plaid paper from Perfectly Plaid for the background and Guava cardstock cut with one of the sentiment banner dies for my sentiment. I finished it off with a few green sequins from 28 Lilac Lane to finish it off. For my second card I used the new Plan On It: Calendar set to create a card for all seasons. 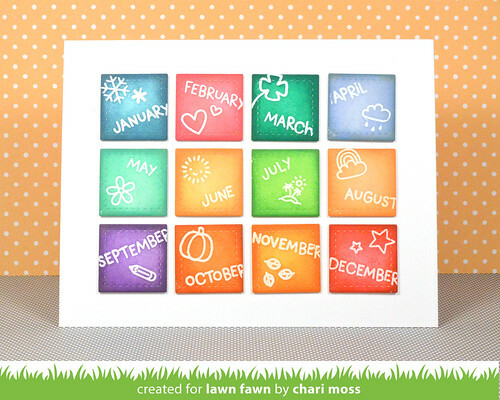 I started by cutting some 1 inch stitched squares then clear embossed the months and coordinating images on each square. I did borrow some images from other sets such as the pumpkin and shamrock. Then I used distress ink to blend color onto each square. Thanks for stopping by today! Be sure to check out the Lawn Fawn Blog for more inspiration! 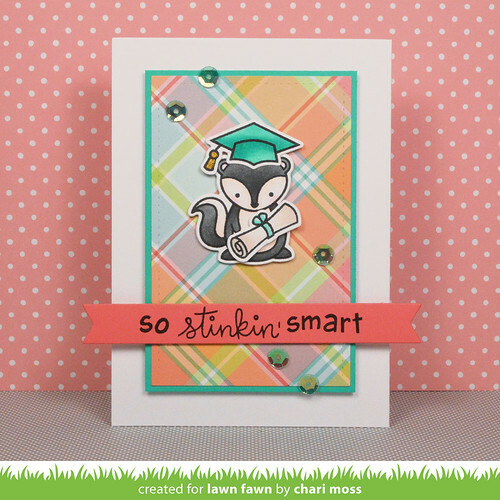 These are "So stinkin' CUTE" Chari, I love them both! Love these cards Chari! You never disappoint! My favorite is the Grad Card. Absolutely Stinkin' Brilliant! This little graduate is so stinkin cute! The plaid background makes it even more adorable.